WASHINGTON — Finance officials from the world's major powers acknowledged Friday that the global economy is in a slowdown, but they forecast that growth will pick up by the second half of this year, thanks to interest-rate policies from the Federal Reserve and other central banks. Officials of the Group of 20 major economies said at the conclusion of their talks that growth had slowed at the end of last year and the beginning of this year due to factors such as turbulent financial markets and heightened tension over trade and interest rates. But with a switch led by the Federal Reserve to looser monetary policy this year, the stage has been set for a rebound in growth. Officials, however, cautioned that risks remain, chiefly from trade disputes between the world's two biggest economies, the United States and China. "We must be mindful of an escalation of trade tensions," said Finance Minister Taro Aso of Japan, which holds the chairmanship of the G-20 this year. He said that free trade had allowed Japan and Germany, countries devastated after World War II, to rebuild and become economic powers again. 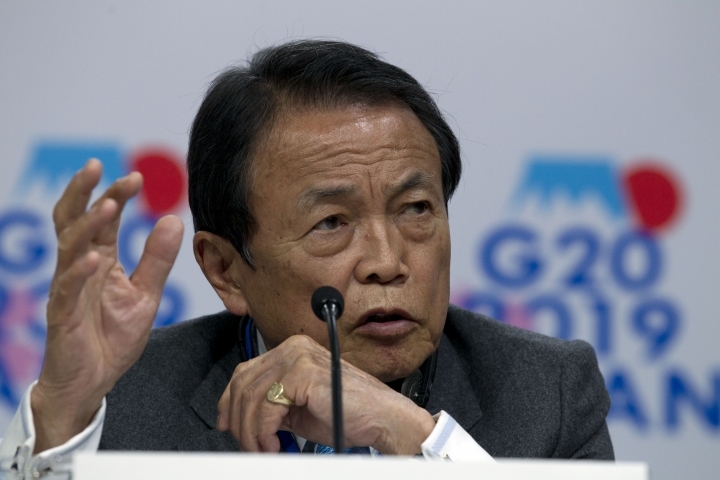 "The free-trading system must be upheld," Aso said. Aso said there was a broad agreement among financial officials that the current slowdown should be temporary as long as the Fed and other central banks carry through with their plans to provide support for growth. The Fed, after raising interest rates four times last year, announced at their March meeting that they planned to hold rates steady in light of a slowdown in the United States. Fed officials cut their forecast for rate increases this year from two to none. 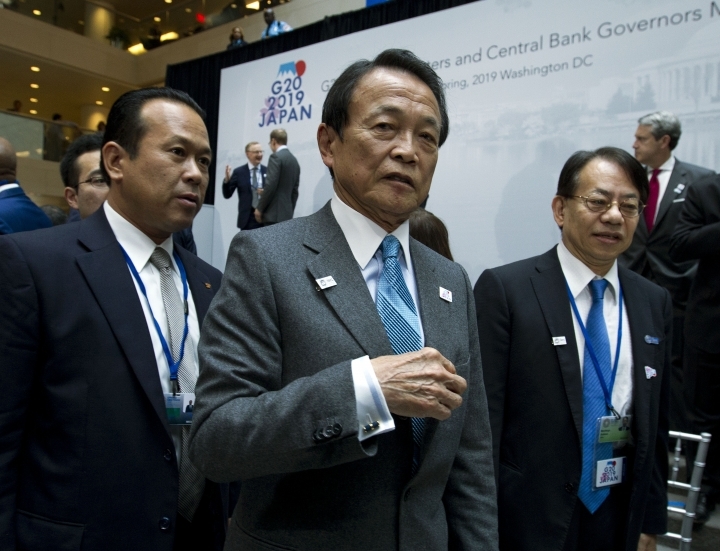 Aso said the other G-20 countries pledged to pursue policies to support growth in their own countries. 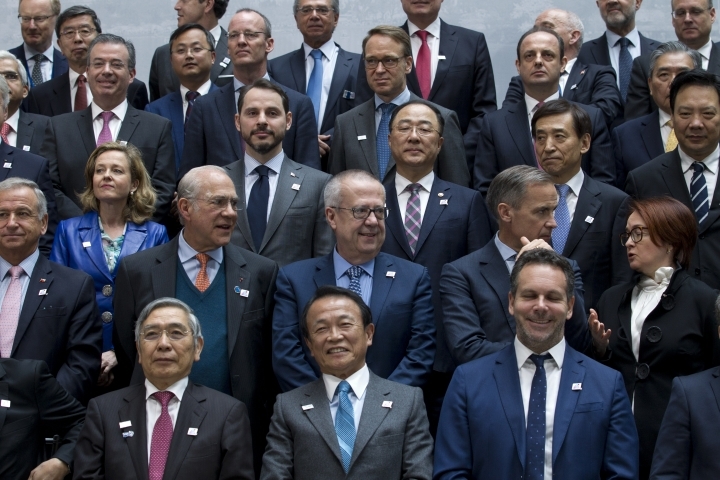 The G-20 discussions were held as part of the spring meetings of the 189-nation International Monetary Fund and its affiliated lending agency, the World Bank. 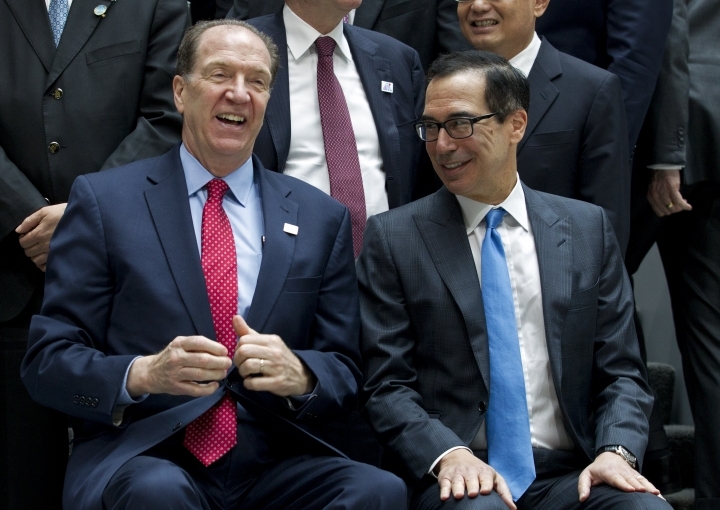 Representing the U.S. at the talks, set to wrap up Saturday, were Treasury Secretary Steven Mnuchin and Fed Chairman Jerome Powell. Factors blamed for the current slowdown include the Fed's rate increases, the huge sell-off in stock markets at the end of last year and problems in the German auto industry caused by Volkswagen and Daimler facing bottlenecks as they get cars certified for new emissions test that took effect Sept. 1. 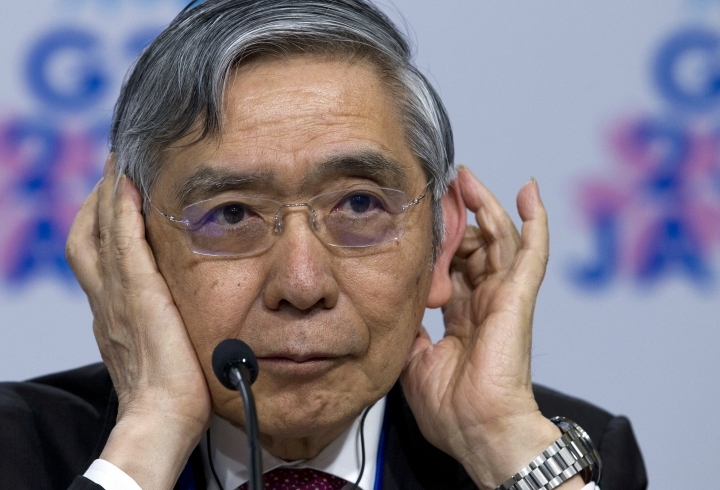 Haruhiko Kuroda, head of the Bank of Japan, said G-20 officials saw the IMF's revised forecast as "highly likely" but that all the countries would need to do their part to boost growth. The IMF cut its forecast for global growth from 3.6% last year to 3.3% in 2019, the slowest since the recession year of 2009. The IMF expects world trade to grow just 3.4% this year, down from 3.8% growth in 2018. Changyong Rhee, director of the IMF's Asia and Pacific Department, noted that financial markets have been rallying on the prospect of an agreement that will end the trade standoff between the U.S. and China. He said markets could drop if the two countries cannot reach a deal, though he also said an agreement could also create problems. If the Chinese agree to take in more imports from the U.S., as widely expected, those purchases could come at the expense other countries that have been doing business with China. Rhee also expressed concern that China would give American companies "preferential access," undercutting other countries and leading to "broader worries" about the future of free trade. Rhee also said a U.S.-China trade peace could prove "short-lived" if the two countries can't reach a long-term deal that requires Beijing to improve protection of intellectual-property and make other economic reforms.